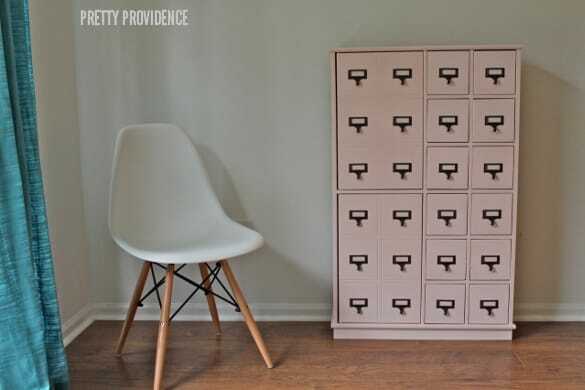 If you are planning to redo a card catalog or cabinet that looks like a card catalog, let me tell you about the prep work. Removing the hardware took forever! There are 24 drawer pulls on my cabinet, with 4 tiny screws each. 96 screws to remove, y’all. Then after you’re done, 96 screws to put on again! That, and painting the small drawers and everything. I totally underestimated how long it would all take. Anyway, it was all worth it. I love the way it turned out. 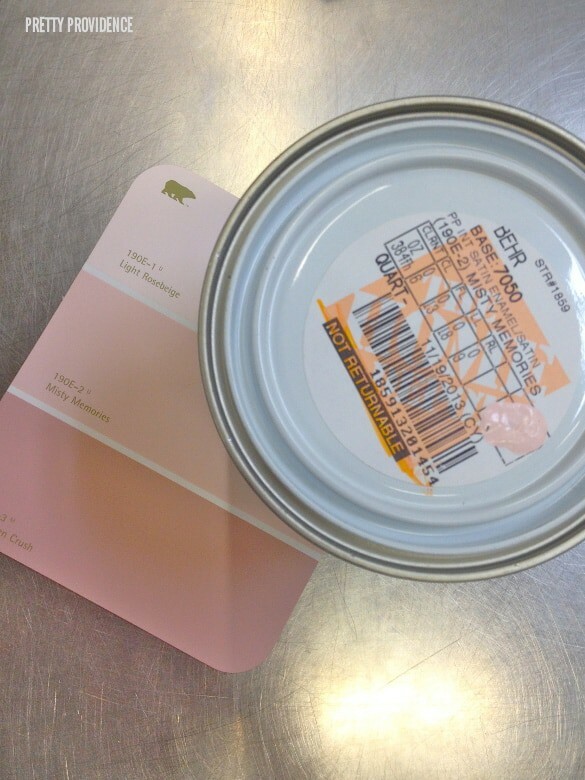 The pink adds a fun, feminine touch to my new office! Speaking of my office, this is a little sneak peek. I’m working on a DIY desk and I have some things to hang up on the walls, but it’s getting close to being a functional office space and I can’t wait. 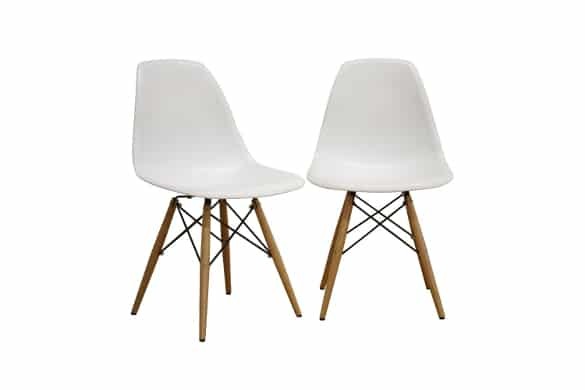 I got a screaming deal on these mid century modern chairs on Amazon. I have been looking for some at a reasonable price for YEARS, and when I saw that I could get two for barely over $100 I was in shock. It seemed too good to be true but they really are great chairs, they are exactly the same material/quality as the real vintage ones you find on craigslist or at modern furniture stores for $200-$400 a pop! So if you’re in the market, I highly recommend them. What do you think of the pink? if you like this, you’ll probably like this storage bin makeover, or this DIY gold-dipped mirror frame! this post may be linked up to one of these parties. I love that color pink! I think it turned out perfectly. 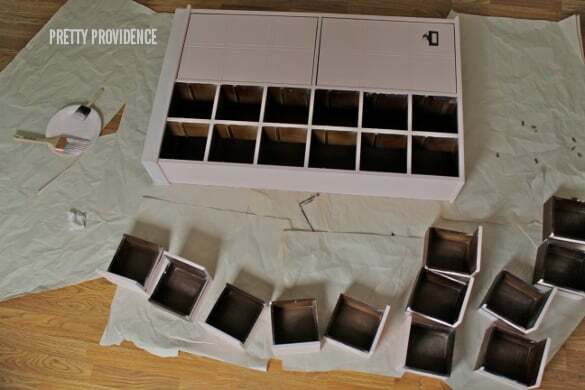 I can’t believe the amount of patience it must have taken to pain all those drawers! Yeah it definitely didn’t need to be painted to be cute, but I wasn’t digging the way it clashed with my floors and other furniture! LOVE! LOVE! LOVE! And now I want those chairs…..
You have incredible vision for DIY! The card catalog looks so cool. The color is a nice change, I wouldn’t have thought to use it but it works! That is way cute. Your level of patience is amazing! Digging the pink Sar! yo quiero!